Size: 453 sq.ft. - 1316 sq.ft. Al Mazaya Real Estate developer is presenting a new affordable residential community "Q-Line" in Dubai Land. Q-Line community holds accommodation of Studio apartments to 2 BR homes.This master-plan is derived from the urban structure of San Francisco. Q-Line in Dubai Land has become a smart choice for those seeking medium housing units, not only in Dubai, but throughout the region. The features of Q-Line project is derived from San Francisco style design with options of one and twobedroom apartments. The Q-Line Townshipis anticipated to be the centre of Dubai's property market for its green landscapes and peaceful lifestyle. The entire project consists of 475 Units. The units are available from studio – 401 to 635 sq.ft., 1 bedroom - 799 to 1070 sq. ft., 2 bedroom 1,196 - 1463 sq. ft..Each home in Q-line features large windows that allow abundance of natural light. With spacious living rooms and superior finishes, one can enjoy a distinctive and satisfying lifestyle with Q-Line Apartments. The location of the project is at the junction of Mohammed Bin Zayed Rd right across the road from the Dubai Silicon Oasis. Q Line is a prime location because it is in proximity to Dubai's iconic landmarks: Academic City (3 minutes), Mall of Emirates(15 minutes), Outlet Mall(6 minutes), DIFC(7 minutes), Global Village Global Village), Emirates Towers (8 minutes), Dubai International Airport(9 minutes), Dubai Mall (17 minutes), Dubai International Financial Centre (7 minutes), etc. 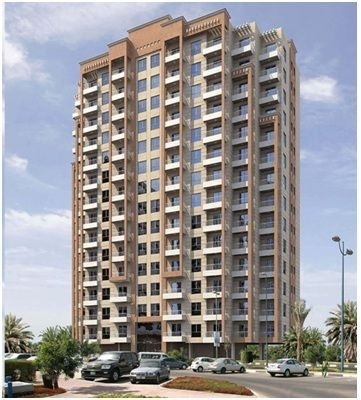 Q-Line is a master development of residential apartments in Liwan, Dubailand, UAE. The Q-Line's- all four buildings are accomplished with 24 hours security system, Conference hall, Copper Wiring Concealed, Plumbing & Other Fittings Concealed, High Branded Lifts, Good Floor To Floor Height, Children’s playground, Conference hall, Cascading terraces, Distinctive views specification.